I know, I know, I’m still super behind when it comes to writing blog posts. Maybe one day I’ll finally be up to date..one can wish, right? I’m still all the way back in February, this time the weekend of my birthday. With my birthday being the day before Valentine’s Day, we normally don’t go out for a fancy dinner in order to avoid the lovey dovey crowd. But, this year we decided to attempt going out again and chose a place we thought wouldn’t be high on the romantic scale, Jacob Wirth. Using the ole reliable Groupon, I had found a deal a few weeks ago and we decided to use it for my birthday dinner. 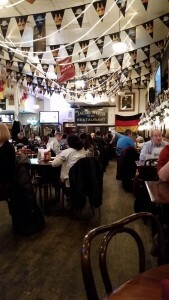 This restaurant is my favorite place in the city for German food and beer. 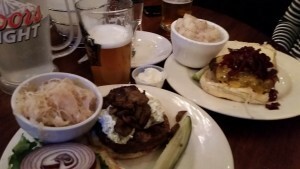 The interior has a great pub feel to it, there is a good beer list, and burgers with sauerkraut. What more could you want? 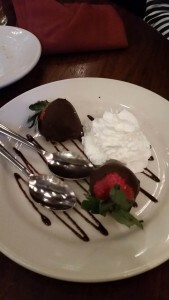 Being Valentine’s Weekend, they had a special menu that we decided to take advantage of and got some chocolate covered strawberries. A decadent, special treat for the night. 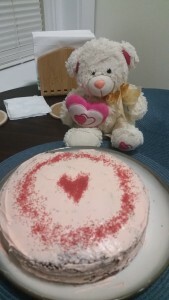 Along with our chocolate covered strawberries, Cade had made a special birthday/Valentine’s Day cake earlier that day. So, we got to indulge more once we got home. 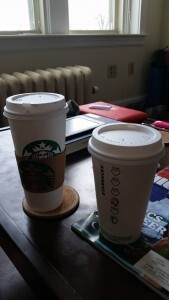 Continuing with the weekend of celebrating, because why limit yourself to one day, we first got the normal Starbucks for our Saturday coffee date. 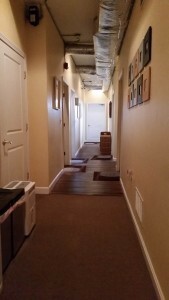 And, I had also scheduled for us to get a massage and bath soak package at Inman Oasis, which Meem had gotten us for Christmas. I, somewhat…maybe on purpose, scheduled it for my birthday weekend to create an extra birthday treat. And, a treat it sure was! We each got our individual massages, then met up for a couple’s bath soak in a private bath. 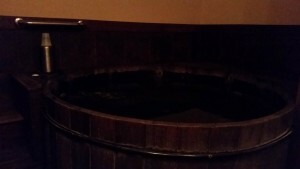 The bath was one of those Japanese wooden style bathes, which just added to the feel of decadence and relaxation. Even though it was very cold outside, which we had to walk home in, it was a nice way to spend the afternoon and be rejuvenated. It was a relaxing, splurge of a weekend. 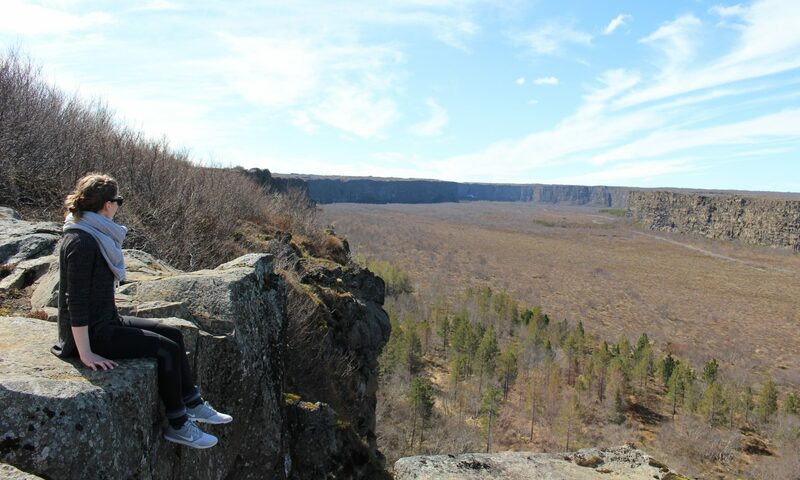 It’s always nice to spend time with the hubby and take time for myself to be reinvigorated. Such a fun weekend! So cold, but still fun.